Good morning top professional wedding photographers. Hope you are all well and you're now started on what should be a very busy UK wedding season. Nevermind the weather. This is just a short post to let you know we've made a few small changes to the site. You can now add a link to your Pinterest page on your listings. If you've not heard of Pinterest it's a cool social networking site which is great for wedding photographers. 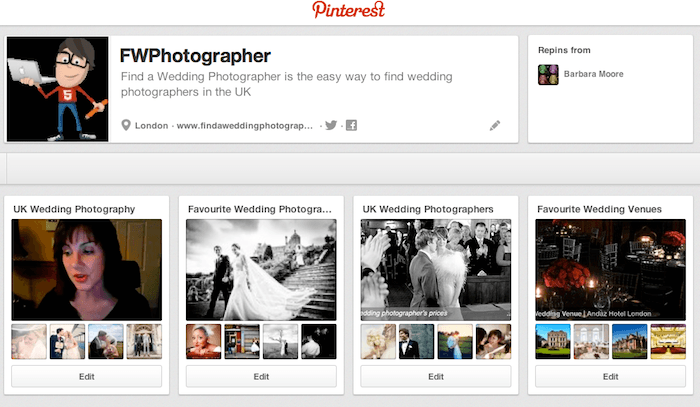 You can create pinboards of your favourite wedding images and these can be shared or re-pinned by other users. 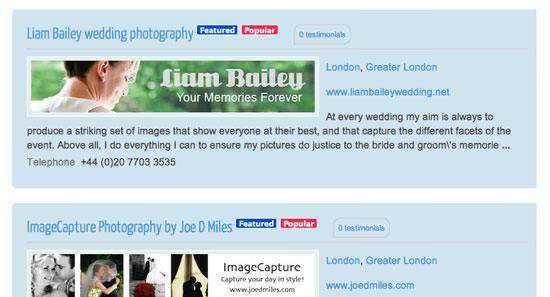 Pinterest has become really popular with wedding professionals as it's a brilliant way of sharing wedding inspiration. You can find us on Pinterest here. We've also added a new brochure/price list download feature. You can now upload a PDF document to Find a Wedding Photographer which can be downloaded by brides directly from your listing. Just log and edit your listing to upload your PDF document. We're working on many more new features to make sure Find a Wedding Photographer remains the best wedding photography resource around. on Monday, 13 May 2013. We are please to announce that the new version of your favourite wedding photography site, Find a Wedding Photographer, is launched today! So what's changed I hear you say. Well, we've totally rebuilt the site from the ground up to take into account all the latest web developments. We have a new directory system with lots of new features. on Wednesday, 07 November 2012.